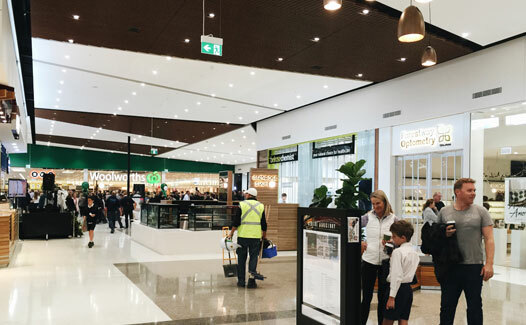 As part of the massive redevelopment of the Belrose based Glenrose Village shopping mall, Trend was asked to supply lighting for the common areas throughout the center. As part of the massive redevelopment of the Belrose based Glenrose Village shopping mall, Trend was asked to supply lighting for the common areas throughout the center. Using the high output XDM30 downlight, the center achieved a bright and vibrant atmosphere.